The Technical Directors of all the regional Spanish broadcast corporations, grouped in FORTA have met at the 4KSummit 2018, the international summit on the 4K – Ultra High Definition (UHD), which will take place from November 7 to 9 at the Digital Content Hub in Malaga. The Technical Commission of FORTA usually meets every month in Madrid. 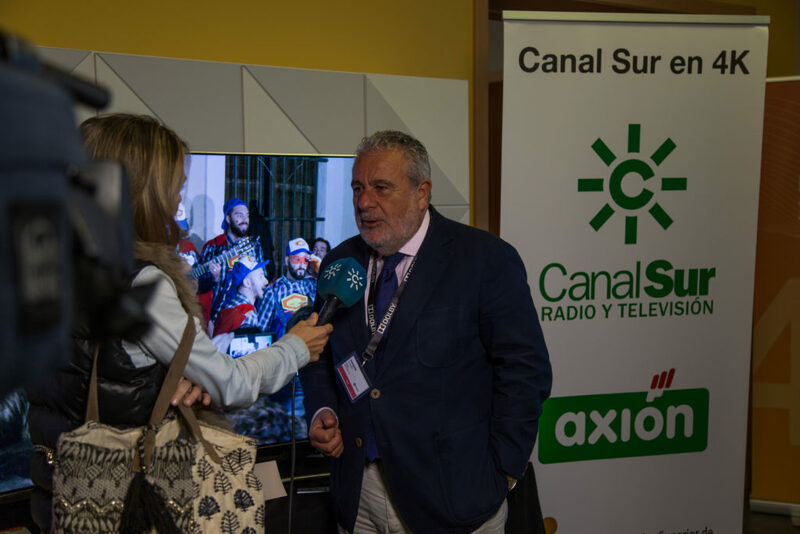 But at the proposal of Canal Sur, the next meeting will take place this time in Malaga coinciding with the 4KSummit18, attended by engineers, producers, manufacturers, consultants and analysts from more than 20 countries. The Technical Commission of FORTA is formed by the Technical Directors of Euskadi, Galicia, Catalonia, Andalusia, Madrid, Telemadrid, Aragon, Comunidad Valenciana, Castilla La Mancha, Murcia, Balearic Islands, Canary Islands, Asturias and FORTA itself. In Spain, 7 television channels are currently being tested in metropolitan areas using Digital Terrestrial Television (DTT) frequencies. Andalusia leads the Spanish map in 4K per DTT with four broadcasts, two in Malaga and two in Seville, which makes it one of the leading regions in Europe in Ultra High Definition DTT broadcast. In addition, Madrid, Barcelona and Santiago de Compostela already have 4K frequencies in tests, which places Spain on the map of European countries that lead the implementation of Ultra High Definition (UHD). Since 2015, Hispasat has also operated a 4K channel in tests covering Europe and Latin America. On the other hand, platforms such as Movistar, Vodafone and Orange offer different services in 4K, which will be extended in 2019, with the aim of offering its most demanding clients an image quality with four times more resolution than High Definition (HD) and 16 times more resolution than Standard Definition (SD). The 4KSummit offers the possibility of attending conferences of the “top engineers” of companies worldwide that impel Ultra High Definition (UHD), such as Samsung, Sony, Dolby, Eutelsat, Huawei, Panasonic, Canon, Fujifilm, Nokia, Grass Valley, Ateme, Vestel, Rohde&Schwarz, AJA, HBS, and so on. In addition, Spanish technology companies such as Movistar, RTVE, RTVA, Hispasat, Cellnex, Axión, Tedial, Hurí, Sono, etc. will also be sponsors of 4KSummit2018, showing their latest productions and advances. At the 4K Summit, representatives from more than 20 countries will share the latest technological and content production advances in 4K, HDR (High Dynamic Range), HFR (High Image Frequency), etc., through 20 conferences and 7 panel sessions, which will be added to the workshops and demos that the companies organise in the different spaces of the 6,000 square meters of the Digital Content Hub of Malaga.